For cities, the forces for transformation continue to increase, funding challenges remain, while demand for services grows in line with the urbanization of populations. There is an urgent need for cities to harness innovation to make cities more livable and sustainable by becoming "intelligent". Digital platforms can now provide a powerful aid for decision making and urban planning, enabling a holistic approach to predict and meet social, economic and environmental outcomes. 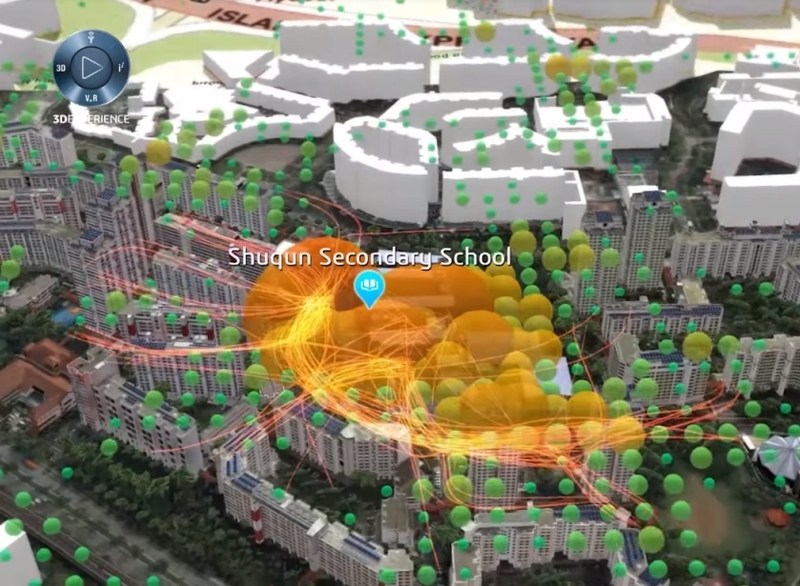 See how Virtual Singapore uses 3DEXPERIENCity for simulations and virtual tests to solve urban planning challenges. Dassault Systèmes’ 3DEXPERIENCity® enables all smart cities stakeholders to collaborate beyond disciplinary silos and drive digital transformation in territorial and urban projects to become more sustainable, resilient, and resource-full.